Einherjar: The Viking's Blood is a new browser-based, free-to-play title from developer Appirits. 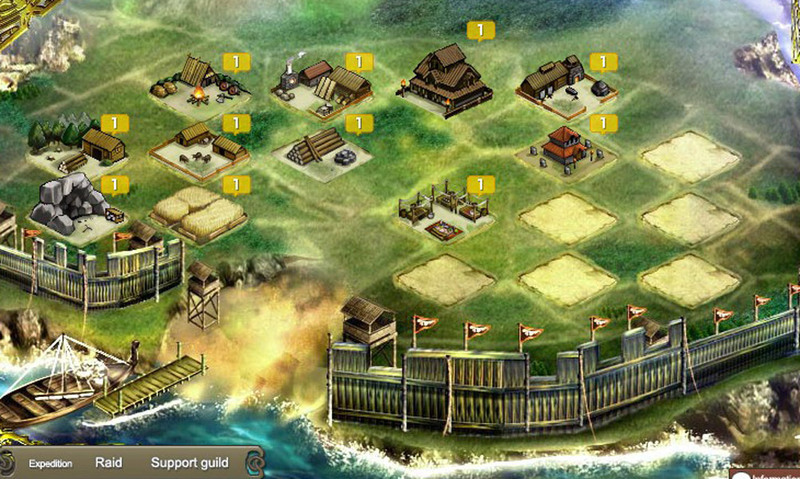 The game combines equal parts strategy simulation and strategic combat with role playing elements like few other titles have ever attempted to create a fun fantasy world to explore and waste countless within. The game isn't perfect, and it has a very slow start that will annoy gamers looking to jump into combat right away, but the payoff is a deep and entertaining game that will have you coming back for weeks, attempting to strengthen and grow your army while expanding your home territory and the resources and products it creates. Einherjar: The Viking's Blood knows what it is, and it makes the grind fun for fans of the genre. There isn't a very deep storyline to the world of Einherjar: The Viking's Blood. You begin the game as a Viking warlord who must build up a territory and army in order to continue the expansion of your land and defeat the nearby monsters to find great loot and make the nearby areas safe. There are plenty of heroes and other characters littered throughout the game who each have their own personalities and back stories. The really interesting feature of Einherjar: The Viking's Blood is the ability for your characters to age, get married and have children who can inherit the abilities of their aging parents that lose statistics beginning at age 30. It's a really neat mechanic that few to no games have ever used, and it works well here to keep you working towards the most powerful army yet and to continue making your home territory better for the next generation. Much of your time in Einherjar: The Viking's Blood will be spent harvesting resources and collecting other valuable items outside of combat. Missions will be given to you from the beginning of the game whose requirements and rewards will be stated before beginning the mission, and once you've completed a mission, you will unlock more and more things to accomplish in the game. Once you've collected enough resources, you can build new structures for a variety of different effects including homes for your characters or different types of factories that produces better equipment and items for your characters to use in combat. Building up the perfect base is one of the most important focal points in Einherjar: The Viking's Blood, and one of the most time consuming. When you decide to leave your homestead in search of new lands and new resources, you will encounter other characters and enemies. This is where combat comes into play, and you will have to strategically use the characters you've been training to overcome your opponent by moving around the arena and attacking similar to the combat of games such as the Final Fantasy Tactics series. Each character has a job that can be leveled with different strengths and weaknesses prominent in each job. Using the character in combat the way their job should be used is key, and the game doesn't necessarily become any easier once you've unlocked more characters or even a whole army. If you ever want to switch characters or simply unlock too many characters, they can be frozen to be used at a later time. The one minor gripe with the game is that freezing and unfreezing characters and performing other important actions costs you power which is mainly collected by spending real cash on in-game items, but that is the price you pay for playing a free game. Einherjar: The Viking's Blood is a game that is well worth your time, especially if you're a fan of strategy RPGs. The game is slow paced, but it is helped by an enchanting soundtrack and colorful graphics and animations. If you ever become bored of the single player adventure, Einherjar: The Viking's Blood offers up player vs. player matches to see who has assembled the mightiest army. Of course, you can invite your friends to play and unlock additional power for signing them up for the game. Einherjar: The Viking's Blood is an entertaining game that isn't perfect, but is fun enough to see you spending countless hours in the game before stopping, and best of all, it is available to play totally for free. Check it out today! Einherjar: The Viking's Blood is now available free-to-play exclusively for PC. 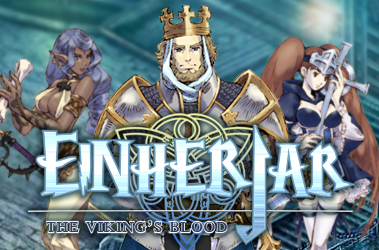 For more information on the game, check out the official Einherjar: The Viking's Blood website.